Here's a Dutch translation for Realistic. I'm currently using it for my own site but feel free to include it in the theme (with credit in the ReadMe.txt please). As for "in", that's the same in Dutch. 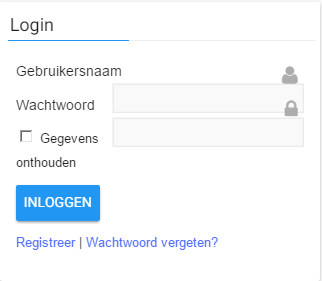 One issue that I did run into was that the Dutch translation for "username" and the login sidebar widget do not play nice with each other. Unfortunately, there's no shorter translation. I'm still looking into this. Well no problem. I need first to add the Edit string to the realistic.pot file. supertanno wrote: Yep, that fixed that! Thanks for your feedback actually this is the only full theme based on Material Design Lite framework. There is a few others but cant be used on a production website. There are mainly available as a Started themes. Material Design Lite framework is very native and has many bugs and doesn't support RTL. But I think Google will solve all these issue and soon Realistic will be a lot improved and has more features. MDL was actually what I was also searching for, as I liked the demos on the MDL website. I do hope that Google will fix them, the future looks very bright for the theme! Will there eventually also be a premium version like with RedWaves, or is Realistic staying as a fully free theme? Actually I am planning to release a Pro version but still waiting from Google to provide RTL fix.